First-Home Buyers are Back! Here’s what you need to know. home > Newsletter > First-Home Buyers are Back! Here’s what you need to know. Sydney’s softening real estate market continues to attract a lot of media attention. Easing house prices may be a concern for prospective vendors, but even these market conditions come with a silver lining. For first-home buyers, the current market presents a tremendous opportunity to get their first foot on the property ladder. If you’re looking to sell, it appears that more buyers are starting to enter the market. With Sydney property having experienced many years of record growth, who would begrudge young home buyers a little respite? Recent reports show two-thirds of people looking to buy their first property believe home ownership is now more attainable than 12 months ago. Additionally, 69% of first-home buyers are more positive about market conditions. This renewed optimism is reflected in stronger lending rates. In NSW, there has been a 70% increase in first-home buyer finance approvals over the last year. Despite easier market conditions, first-home buyers still face significant hurdles such as saving for a deposit and paying stamp duty. To assist first-home buyers, changes to stamp duty were introduced in 2017. Those who purchase a property valued under $650,000 are now exempt from stamp duty, while those purchasing a property valued under $800,000 benefit from a discounted rate. Additionally, those building a new home valued up to $750,000 or buying a newly built home valued up to $600,000, will enjoy a $10,000 first-home owners grant. This is designed to incentivise more construction and increase supply. Among the Sydney suburbs where such incentives are enthusiastically embraced is Homebush. The Inner West suburb saw approximately $4.55 million handed out in stamp duty exemptions and first-owner grants over the past year. 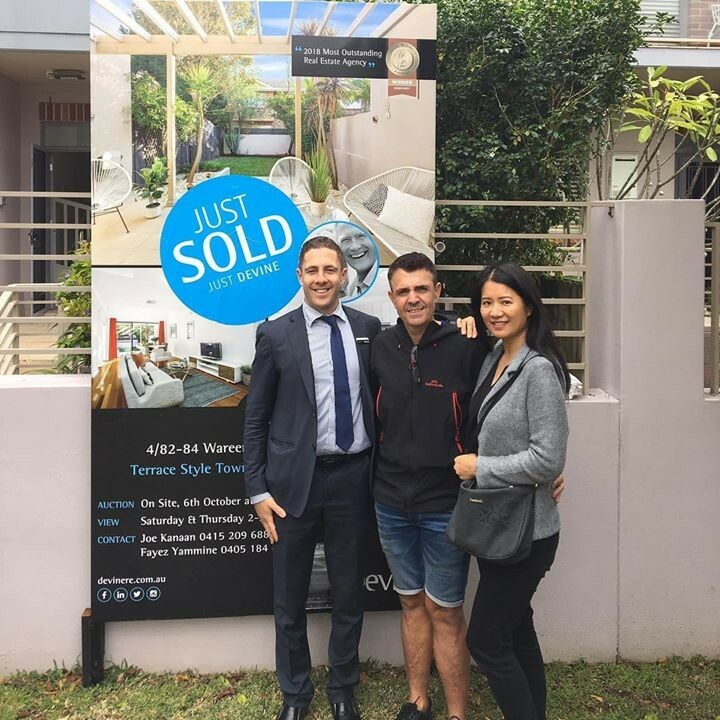 Given the recent surge in unit developments in Homebush, as well as its enviable location next to sporting facilities and transport links, it’s hardly surprising that first-home buyers are attracted to the area. Even in a softening market, Sydney is still a very expensive city. It is unlikely your first home will be your dream home. Prioritise purchasing a property in a location that is likely to experience strong growth over the coming years, close to transport and other services. Even if the property isn’t ideal, it will set you up for strong capital growth so eventually, you’ll be able to afford your dream home. Ideally, a deposit worth 20% of a property’s value is required. Unfortunately, this is rarely possible for first-home buyers in Sydney. Saving a deposit is the biggest hurdle first-home buyers face. To overcome this, consider applying for finance worth more than 80% of the property’s value. You may be required to pay mortgage insurance, but this cost can be minimal in the long-term. By getting into the property market sooner rather than later, you will benefit from increasing asset values over a longer period of time. Consider buying your first property purely for investment purposes. This will allow you to buy in an area that is likely to see strong growth over the coming years, even if the location doesn’t meet your current needs. In the meantime, you can rent in an area that suits you. As the owner of an investment property, your out-of-pocket expenses will be tax deductible, making property ownership much more affordable. You will also benefit from long-term asset appreciation. 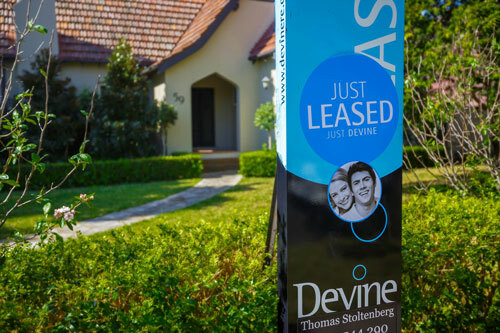 If you’re looking to make your first foray into property ownership, speak to Devine Real Estate. We have unrivalled experience in Sydney’s Inner West. We’ll help you find the ideal first home, so you too can benefit from Sydney’s softer market conditions like thousands of other first-home buyers.